While writing Geo-Mexico, the geography and dynamics of modern Mexico, we were surprised to find there were no books in English about the geography of Mexico aimed at readers in the upper grades of high school or beginning years of college. On the other hand, we knew of several books about Brazil aimed at that level, most of them published in the U.K.. Why are there more geography books about Brazil than about Mexico? Climate zones of Mexico and Brazil. Credit: Geo-Mexico and Wikipedia, respectively. This makes it easier to teach about the spatial patterns of Brazil than Mexico. Even though regional geography largely disappeared from U.K. schools in the 1970s, most examination syllabi for the equivalent of Grade 13 still required the study of countries at contrasting levels of economic development. Brazil was a relatively popular choice to represent either (initially) an LEDC (Less Economically-Developed Country) or (more recently) an emerging economy or “middle-income” country. Naturally, this led to textbooks based on Brazil. If further evidence were needed that British schools have tended to ignore Mexico, then look no further than a recent article in Geography, the flagship journal of the U.K.’s Geographical Association, the leading subject association for all teachers of geography in the U.K. 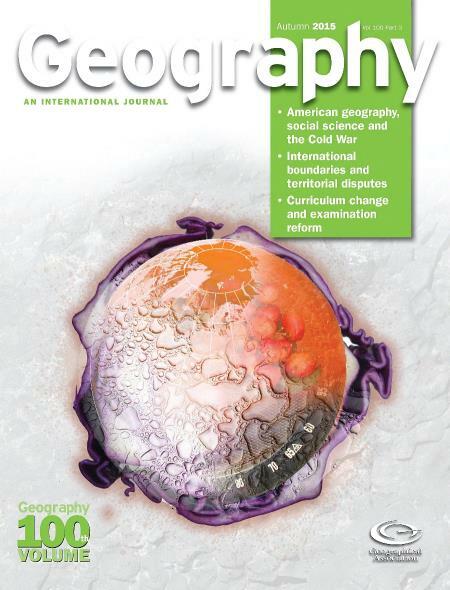 The Autumn 2015 issue of Geography includes “Twenty-five years of Geography production”, an article by Diana Rolfe analyzing the content of the last 25 years of the publication. One particular section caught our eye. Rolfe lists the number of times that specific places are referred to over that time in the journal’s “place-based articles”. The analysis shows that 78 countries were referred to in the past 25 years. The most frequently mentioned country (no surprise here) is the U.K., with (139 articles over the past 25 years). The next most frequently mentioned country is South Africa (27 mentions), followed by China (16), France (12), Australia (10), Hong Kong, Ireland and Canada (8 each). Latin American countries do not have a good showing on this list, but are represented by Peru (2), Argentina (1), Brazil (1) and Chile (1). Astonishingly (to us at least) Mexico does not get a single mention. Neither, it must be said, do Sweden or Norway. The omission of Mexico from the list is significant, given that it is the world’s 11th largest country in terms of total population, 14th largest in area, is the 9th most attractive country for FDI, and has the 11th largest economy on the planet! It is an especially puzzling omission, in a U.K. context, given that U.K. investment during the nineteenth century helped unlock the mineral riches of Mexico, finance its banks, build its railway network and so much more. We invite UK geographers to purchase a copy of Geo-Mexico, the geography and dynamics of modern Mexicocome or hop on over to geo-mexico.com to find out what they’re missing. I-m a bit late reading this .. When I went to school in England .. lets say in the 1960’s and geography was compulsory we learnt “domestic” geography that is the British Isles and also international geography which was mostly former colonies … therefore not Mexico. In about 1962 a chocolate company .. Cadbury, Rowntrees or another company produced an amazing set of lessons about chocolate and pre colombian Mexico. This culminated in going to see a film at the local cinema and prizes being awarded for the best Mexico / Chocolate related artwork. The geography A level (to finish not graduate secondary school at 17 or 18) is currently very highly valued as an entrance qualification to good universities. Well we don’t really have High Schools … Kids begin school (not pre-school) at 5 or in some cases 4yrs and complete 11 years to gain GCSE´s (general certificate of secondary education) in individual topics such as Maths, English, Physics, Biology ,Chemistry, Geography, History etc. Then they go on to what is called A Level (advanced) or various technical options. Between the age of 16 to 18 students narrow their field at A Level to as few as three options (Very bright students may take 5 subjects) all with a focus on university entry. Therefore geography is highly prized by students for it’s breadth. Someone who wants to study maths at university might study maths, physics and geography, someone who wants to study philosophy might take maths, English and geography. A student looking at Engineering might also include geography. that’s because 17yr olds looking at geography get to deal with large data sets which is all the rage now … apparently ..